What do you see when you see someone on a stage, giving a talk, being the centre of the room etc? Look beyond the person, and look at the aura around them. If you are mesmerized by the person and their appearance for any length of time, there is a good reason why. You can cultivate that energy – something that attracts people to you, what you say and do. You are not going to find a lacklustre leader – simply too blah!!! If you don’t feel that you have that much energy, try spicing things up a bit – it may take you out of your comfort zone, but with all the attention you’ll now be getting, you’ll be motivated to get even more energetic! High energy attracts people – it really is that simple, so if you will be speaking in public in any capacity, you need to have enough energy to captivate your audience and keep them following you. I as at Live The Dream 3 last weekend – one of the presenters was Jonathan Budd – someone with really great energy. 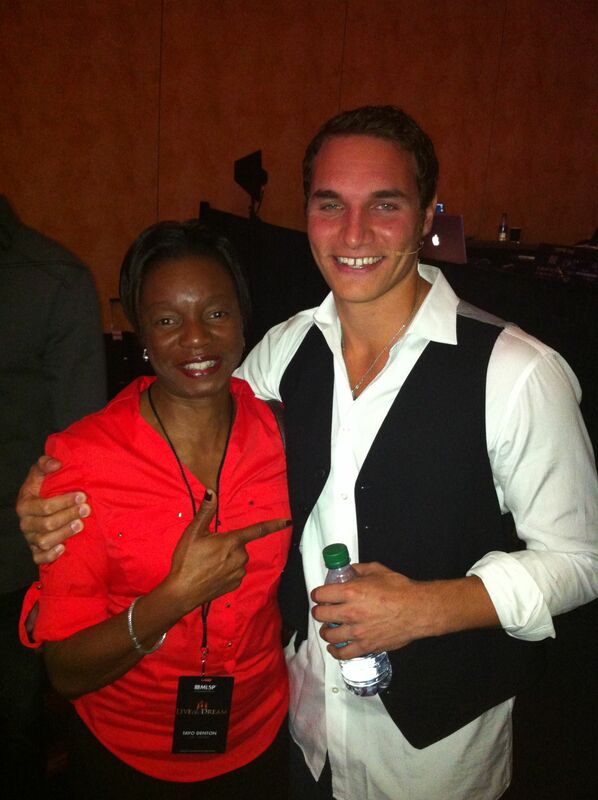 I went up to him (I am registered for his upcoming Unstoppable Millionaire 2 event) to get a picture with him. Want to know the first thing he said to me? “You have such great energy”! I do believe all the ideas you’ve presented for your post. They’re very convincing and will certainly work. Nonetheless, the posts are too brief for starters. May just you please prolong them a bit from next time? Thank you for the post….